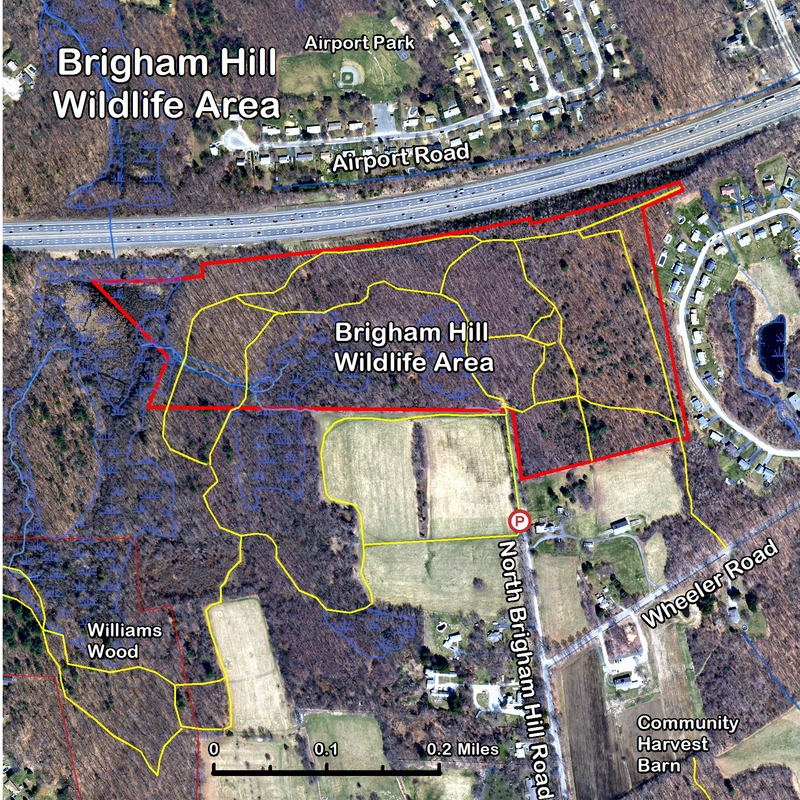 This 46 acre property lies alongside the Mass Pike at the end of North Brigham Hill Road. Many years ago, it was known locally as "The Airport." It is high land, mostly populated by hardwoods, with some wetlands and with a gentle slope in some areas. A network of trails extends through the property, which may be used for hiking and cross country skiing. 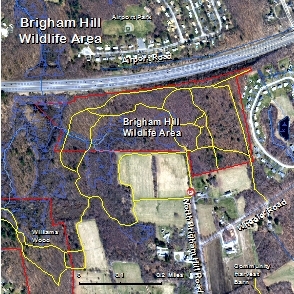 The Brigham Hill Wildlife Area was acquired in December 1974 from James Whittal, Andrew & Martha Marsters, William & Elizabeth Whipple and A. George & Mary Bullock. The preservation of this property was obviously important at the time, but its legacy continues today. Shirley Williams explained many years later when she and her family also donated land to the Trust: "Peter and I enjoyed walking in the Marsters' lovely woods [the Brigham Hill Wildlife Area]. It would have been a shame to see them developed. Patty and Andy made a conscious decision to forgo some private gain for the public good. It made a deep impression on us. 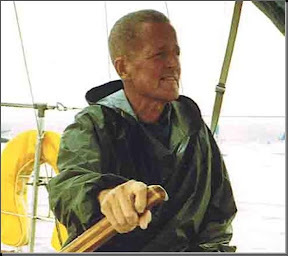 A lot of other good people have done the same thing elsewhere in town, and Peter and I are pleased to follow their example."